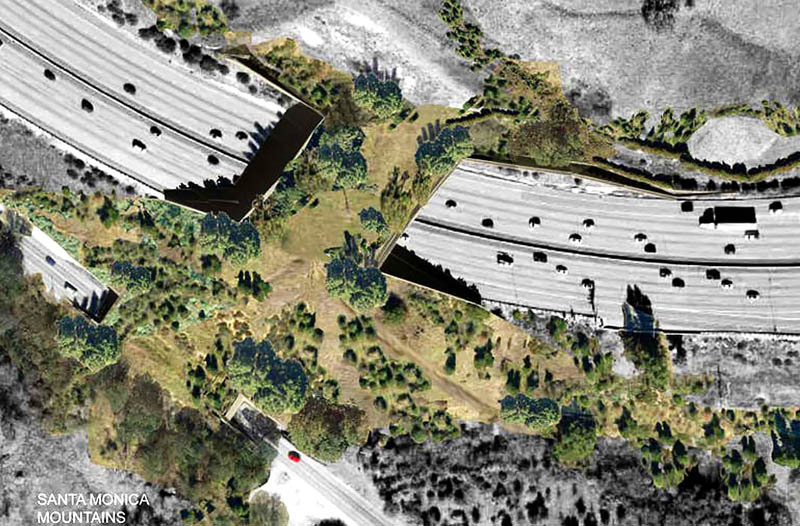 Set in urban Los Angeles over a calculated spot along the 101 Freeway, an audacious freeway overpass has been designed to reduce deaths among mountain lions, pumas and other wild species populating the area. 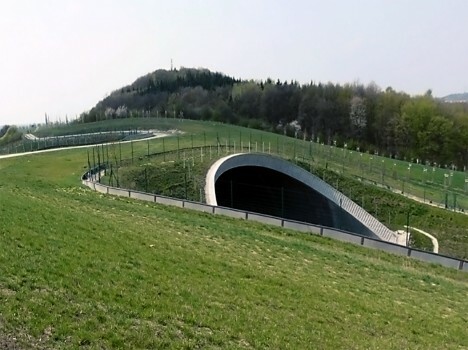 While such wildlife corridors exist in various forms around the world, this would be the biggest of its kind in North America at 165 by 200 feet, and perhaps the largest urban example on the planet. The crossing is set to connect two areas of protected public land, in the Santa Monica Mountains to the south and the Santa Susana Mountains to the north, stitching a fragmented habitat back together. 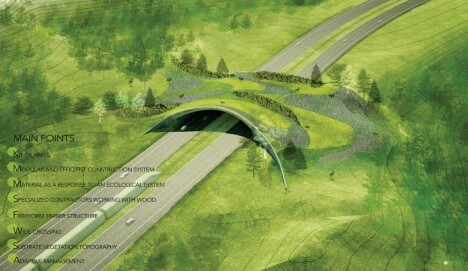 Covered in native greenery, it would provide a safe passage for animals across the busy freeway below and could double as a crossing for hikers and mountain bikers as well. Backed by local politicians and wildlife protection organizations, the corridor project was vetted for feasibility by the Mountains Recreation and Conservation Authority and is set to be funded with public money. 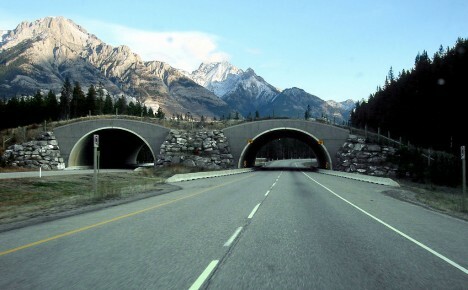 It is intended primarily to protect animals, but also benefits motorists who can also be harmed in wildlife-related accidents. There are smaller-scale precedents around the US and the globe, variously set above or below roads help animals both large and small. 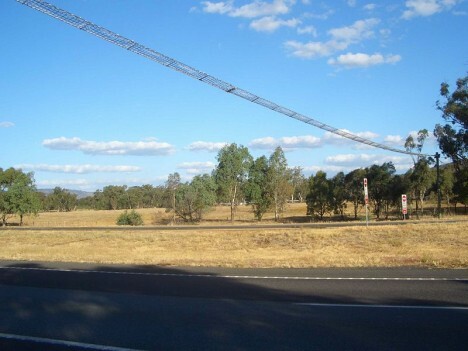 Some are larger, including tunnels or bridges for bears, cougars, deer, elk but others are smaller and species-specific, like the above aerial trellis for mice and squirrels in Australia. 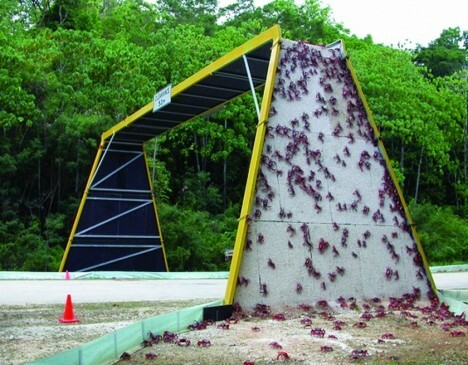 In some cases, as with a certain species of crab (below, also: Down Under), the crossings are essential to maintaining balanced ecosystems and supporting local economies. Many of these kinds of structures can be found in more rural states around the country, while very few bridge metropolitan highways. “I don’t know anywhere where people have tried to put such a large wildlife crossing over such a busy highway in such an urban landscape,” said Seth Riley, a wildlife ecologist with the Santa Monica Mountains National Recreation Area, a unit of the National Park Service (additional images via Wikipedia).